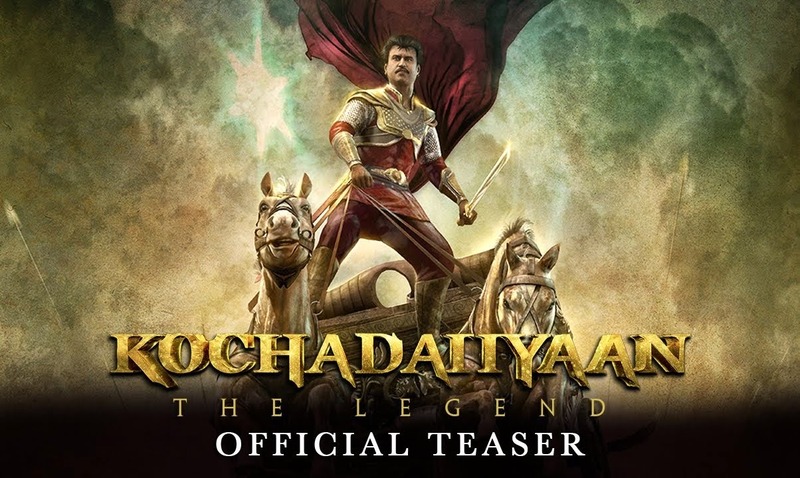 With one of the most expected magnum opus of the year Superstar Rajnikanth's Kochadiiyaan scheduled to release on May 9, the team headed by the film's director Soundarya Ashwin Rajinikanth is working day and night to finish the post production work. Now the latest news is about another unique treat connected to the film, that is waiting for the fans. Kochadiiyaan trailer will be screened in XD format in select screens having the facility to offer the new experience. In Chennai a theater in a newly opened mall has the XD screens. The speciality of XD screens is that the audience will not only watch but can also feel what is happening in the film. For example if a character is riding horse in the film, the seats in the theater will move back and forth so that the audience will feel like travelling in a horse. If lightning strikes in the screen, light sparks will appear in the theatre also. Kochadiiyaan is the first Indian film to be made using Motion capture technology. It has an ensemble of stars in supporting cast and the script and dialogues for the film have been written by director K.S.Ravikumar. The songs composed by A.R.Rahman have won the hearts of music lovers.